Comment: Jesus’ very name, as proclaimed by the angels and prophets, is comforting to us: Emmanuel, which means God is with us. His name and his coming into the world tell us that we are not alone. 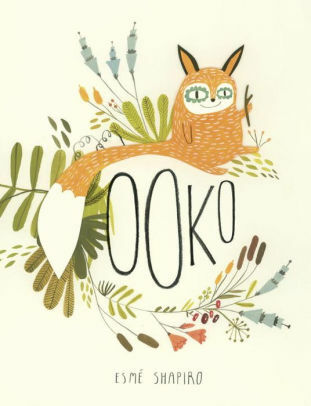 In Ooko, Ooko is a fox who has everything he needs except a friend. He notices what he believes to be other foxes (actually dogs) befriending what he calls “Debbies” (actually children), and he wants a Debbie to be his friend, too! He tries all kinds of ways to make himself acceptable, to be like the other “foxes”, but nothing quite fits and he still doesn’t have a friend. But then a raccoon comes who tells Ooko that he doesn’t have to change himself, and that he will be his friend! Now Ooko is not alone because he finally has his friend. In the passage, the angel comes to Joseph and tells him of the impending birth of Jesus—news, which, initially, may not have seemed good to Joseph or Mary, but which, ultimately, is very good news because it means God came to be with us, to be our friend, our companion, our Savior. The good news is that we, like Ooko at the end of the story, are not alone; our friend, our Savior, our Lord has come and will come again to be God with us. Thanks to Union Presbyteian Seminary alumna Sara Anne Berger for writing the Year 1 Narrative Lectionary Links. Lectionary Links (NL): December 23, 2018 by Storypath is licensed under a Creative Commons Attribution-NonCommercial 4.0 International License.